Oh dear, oh dear. What is one to do as a “nature” oriented parent in this age of technology and kids wanting to spend all their free time in front of a screen? One tends to think that life gets easier as the diaper era turns into distant memory and the kids become more independent each day. But what about cellphones? Since the day our son entered 6th Grade, middle school, our life has become hell in the battle over cellphones. He has wanted and needed a cellphone for about 3 years now. We heard plenty a story of lost cellphones in first and Second Grade. But those were brushed off as figments of the child’s imagination. What kid that age would need a phone? Things got more serious when he announced that his 6th Grade math teacher had told the students he would send them homework assignments via cellphone and email. What? It turned out it wasn’t really a requirement. The boy just wanted a phone because supposedly ALL of his classmates had one. Are we bad parents for saying “no”? 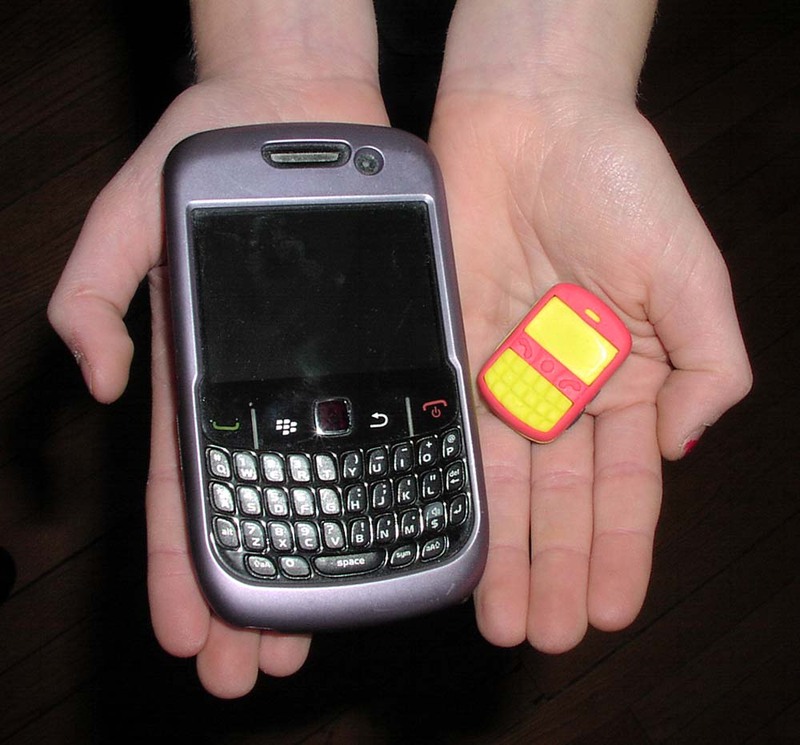 When is the right time to give a child a cellphone? Will my child turn into a social outcast because I am not giving him a cellphone. He is turning 13 in the fall. What he really does need is a new bicycle since he has outgrown his old one. But I know what he wants more than anything is a phone. Do I get him the bicycle, or do I let him join his texting friends? Please, I’d like to hear some opinions from other parents who have fought this battle. When is the right time to give a child a cellphone? I have to say I would continue to stand your ground. Children are exposed to the unknown effects of radiation at an earlier and earlier age. I think the texting and games and all that a phone comes with are just a little too tempting for a child so young to not get addicted too. My plan is to tell my child, when he drives, he can have a phone (of course not for when he is driving)… since payphones are no longer available, I see it as more important then even though likely every person on the street will have one then. It really is not appropriate at this age. I am in Australia and we have moved to a more rural area and our children are going to a very small school. The social situation may be a little different here, but we have always told our kids when they get a job and can pay for a phone themselves, then they can have one. We have been quite firm, they don't even have a Nintendo DS or anything of the like – the only kids I know who don't. They have accepted it. If they are going to go somewhere and I would like to keep extra safe or there is a need, I will give my daughter who is 11 my phone. Stick to your guns I say! Well, I feel for you, I really do:-) We got our son a cell at age 13. He was homeschooled at the time, but was playing varsity soccer with the local high school. I wanted to be able to communicate with him and know when the bus brought him back from games. Now he is 16 and I admit it has its disadvantages, but it has advantages. I *always* know exactly where he is and it makes life easier knowing when to pick up , etc. We have firm rules though, no phones at the table and no texting when we are doing anything with the family. Our phone server has parental controls so I have him set at no Sunday use and no service from 11pm-6am Sun eve through Friday eve. So there are pros and cons:-) Good luck! You will know the right time for one because the need for it will present itself to you, not to your son first. My 19 and 14 year old do not have one yet because they don't need one yet. I think he should be old enough to buy one and pay for its monthly service for himself if he wants one before he needs one. I suspect if he had to earn the money himself, he would see that it was not worth it to him. Yikes, mine are two and 3 mos., so we haven't entered that stage yet. However, I was a highschool student when cell phones really started becoming something that everyone used. Here's what my parents did… There was no need for a cell phone until we started driving so we didn't have one. If we (my two sisters and I) were going somewhere without my parents, my mother would loan me her cell, to call home and I returned it once I got home. Of course I made plenty of pay phone calls. I never got a cell of my own until I was married in 2003! Of course now I "can't live without it". 😉 Maybe get one and have it on reserve for when it's appropriate to send him with one. I have not had to go through this with my own kids yet, but have already thought about how I would like to handle the situation some day. My day job is working for a major cell phone carrier so I have seen first hand how thousands of kids have abused their cell phones. The number one piece of advice I can give is get a cell phone provider who offers parental controls. With these controls you can specify how each phone line on your account can and can not be used. You can control what times of the day it can be used, what days of the week it can be used, who they can and can not communicate with, how much calling can be used per month, how much texting can be used per month (or texting can be totally blocked if you don't want them texting), if they are allowed to download games or ringtones that cost money and the list goes on and on. Here are a few situations to consider. Say you don't want them be able to use their cell phone after a certain time at night for curfew or before a certain time in the morning, you can set that. Say you don't want them to be able to use their phone during school and sneaking text messages in class but maybe you want them to be able to use it during their scheduled lunch break or after school, you can set that. Say you don't even want them to be able to call anyone but you, another family member, or 911 in the event of an emergency and to not use the phone with anyone else, you can set that. There are endless possibilies to how having parental controls on your account could help. The carrier I work for charges $5.00/month to add it on an account too so it's not expensive. I can't imagine having a child with a cell phone without parental controls. Cell phones can be dangerous for kids when they are holding them next to their head. I have an awesome idea about how to deal with the dilemma of kids wanting one and how it could come in handy for an emergency. There are some smart things parents can do to both accommodate and protect their kids. I would like to do a whole blog post for you for free to expound upon some ideas I’d like to share. Please see my work at http://www.nutribuff.com before you decide.